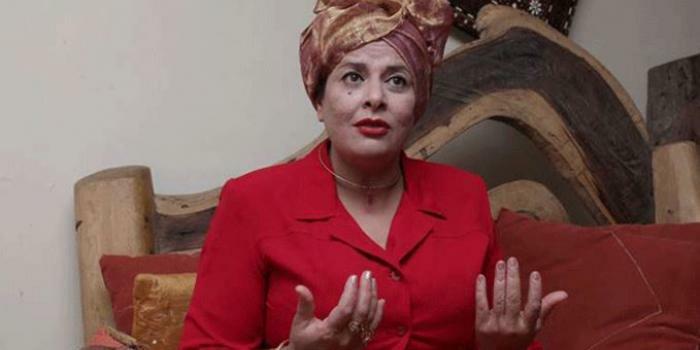 Wednesday September 12, 2018-Former Presidential candidate, Nazlin Umar, has shared her thoughts about the gory murder of University of Rongo student, Sharon Otieno. Sharon, 26, was killed last Wednesday by men believed to have been sent by Migori Governor, Okoth Obado. Rumour had it that Sharon was having sexual relationship with Obado and his son Tito Obado. However, while commenting on social media on Wednesday, Nazlin said though it is bad for a lady to sleep with a father and his son at the same time, she did not deserve to die, at least not the way she died. “Let's separate issues instead of condemning her alone, condemn the Governor and his son too," Nazlin wrote on her Facebook. Nazlin is clandestine lover of Leader of Majority in Parliament, Aden Duale.